​Our elementary programs provide a full expression of the Montessori principles of self-directed, individualized learning in a truly integrated curriculum. By building on the basic skills acquired in the Primary program, the Elementary child now moves from the concrete to the abstract reasoning. The curriculum includes, language (German), arts, math, geometry, science, history, geography, foreign language art and music. "Elementary Montessori education is quite different from the primary Montessori classroom, although it is built on the foundation of the early years." 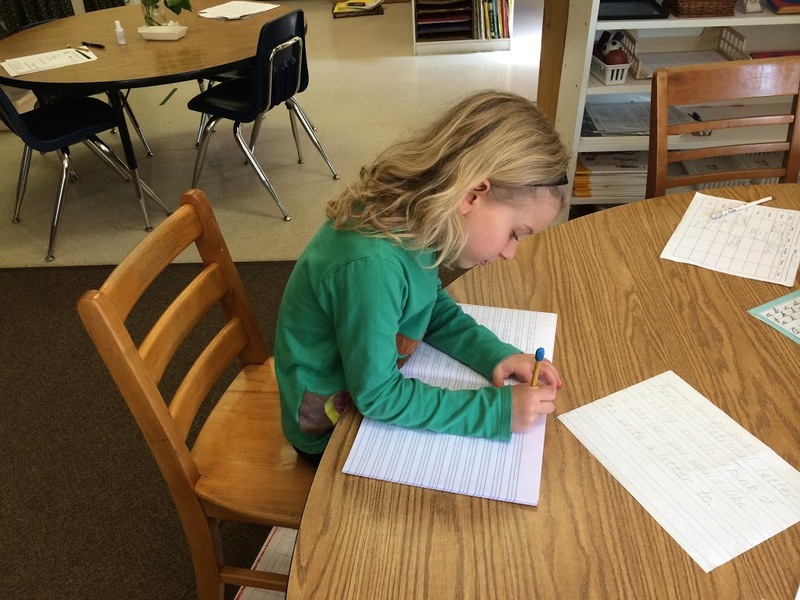 The school day in the Lower Elementary classroom (ages 6-9) is structured differently at our school as well. At the elementary level days are not divided into fixed time period for each subject. Teachers call students together for lessons individually or in small groups as they are ready. A typical day's work is divided into fundamentals that have been assigned by the teacher and self-initiated projects and research selected by the student. Students work to complete their assignments at their own pace - typically with care and enthusiasm. Teachers closely monitor their students' progress, keeping the level of challenge high. The Upper Elementary classroom (ages 9-12) follows a more traditional schedule for the core academic subjects. Classes engage in small groups for seminars, debates, lab work, or group discussion and analysis, so that students will develop critical thinking skills. Teaching is focused around both the great issues of our time and those that men and women have been wrestling with throughout history.